PLEASE FILL OUT THE SIGN-UP FORM AT: http://goo.gl/forms/Atz8IrM6uM. 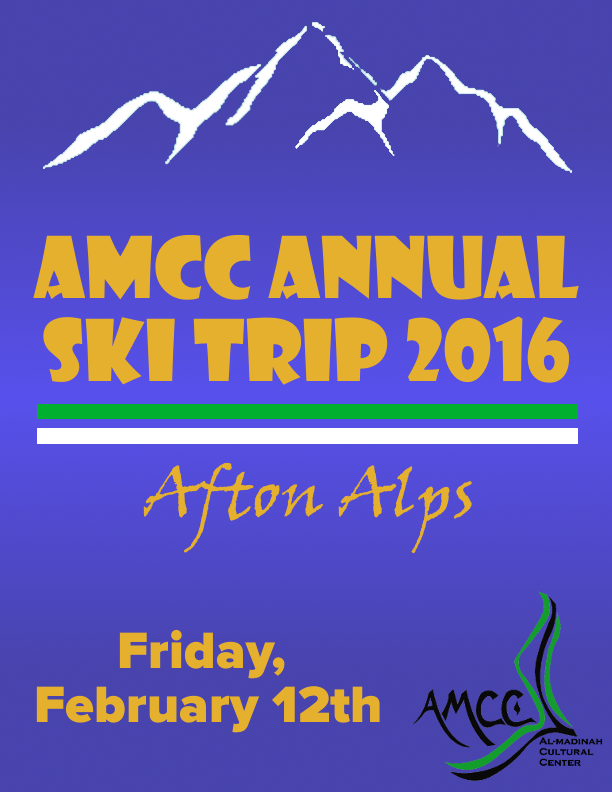 Come out and ski with AMCC at Afton Alps during our Annual Ski Trip. We are asking everyone to register and pay by this Thursday! Lift tickets are $5 for anyone who has volunteered this semester and $15 otherwise. (Ski/Snowboard rentals will be $20 in addition to the lift tickets). Everyone must also donate a non-perishable food item for our food drive. We will meet at Coffman at 2:00 pm and have a bus leaving at 2:20 and getting to Afton at 3:00. That same bus will be leaving at around 9:00 pm to return to Coffman. People are welcome to drive, but parking will be their own responsibility. Once there, ski rental will be an additional $20 for those who do not have skis. For those of you who do have your own pair, there is no additional cost. And of course, we will provide a private room and snacks once there!